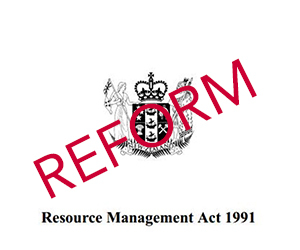 The Resource Legislation Amendment Bill has passed through its third reading. The 700 clause bill makes 40 significant changes to the Resource Management Act, Public Works Act, Conservation Act, Reserves Act and the Exclusive Economic Zone (Environmental Effects) Act. Councils will have a new power to waive the need for consents for minor issues, and a new 10-day first-tracked consent will be available. Environment Minister Nick Smith describes the Bill as “pivotal to resolving New Zealand’s long-term housing supply and affordability problems”, by introducing a specific requirement on councils to free up land, removing appeals on residential developments, reversing the presumption in favour of subdivisions and removing the double charging system of financial and development contributions.